The UPLIFT Desk Crossbar Center Rail connects the two crossbar ends on any two or three leg UPLIFT 900 series desk. If you've misplaced yours or need a replacement, you can order just this part. Note that the crossbar center rail is optional on two-leg desks. 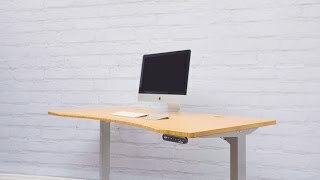 The UPLIFT Desk Crossbar Center Rail comes in your choice of black, gray or white to match your UPLIFT 2-Leg Desk Frame and UPLIFT 3-Leg Desk Frame.